Last Friday, the day before my surgery I met up with my mum, Aunties, and cousins. My sister sadly couldn't make it as she has gone and got her dream job, so not sad for her at all in any way, but we're sad she can't now make Fridays! Anyway we were planning our usual trip to Gates Nurseries in Oakham, Leicestershire to check out their amazing Christmas department (don't tell anyone but I've already been a couple of times) and thought why not push the boat out and have afternoon tea too, especially as Gemma and Lesley are so busy with work they're not always able to escape on Friday, it was nice they could both make it. Mr C and I have attempted afternoon tea there on a couple of occasions only to be told they had run out of scones when we got there, I mean, NO scones??? This time I pre-ordered so we could be sure they had enough. 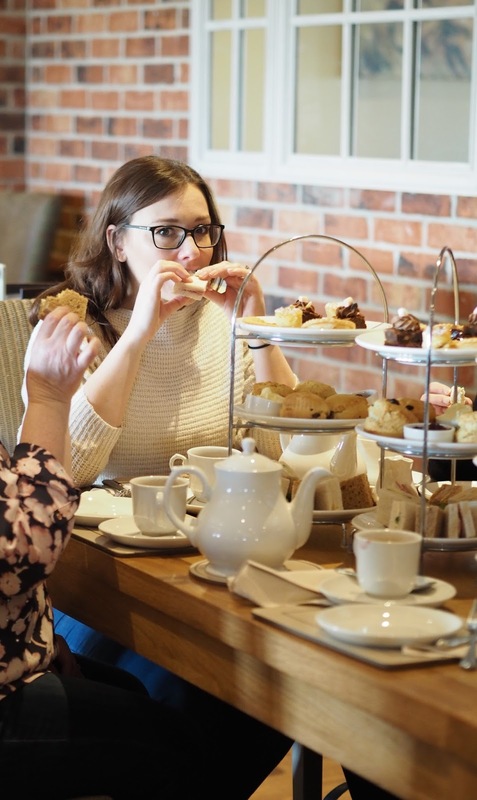 We tucked into delicious finger sandwiches, followed by TWO scones each, after one I was getting quite full and we had the tempting array of cakes to get through as well. Tough job but someone had to do it. Mum, Auntie Jeanette and Auntie Caroline were real troopers though! The food was delightful but I do have one gripe, so Gates if you're reading take note! 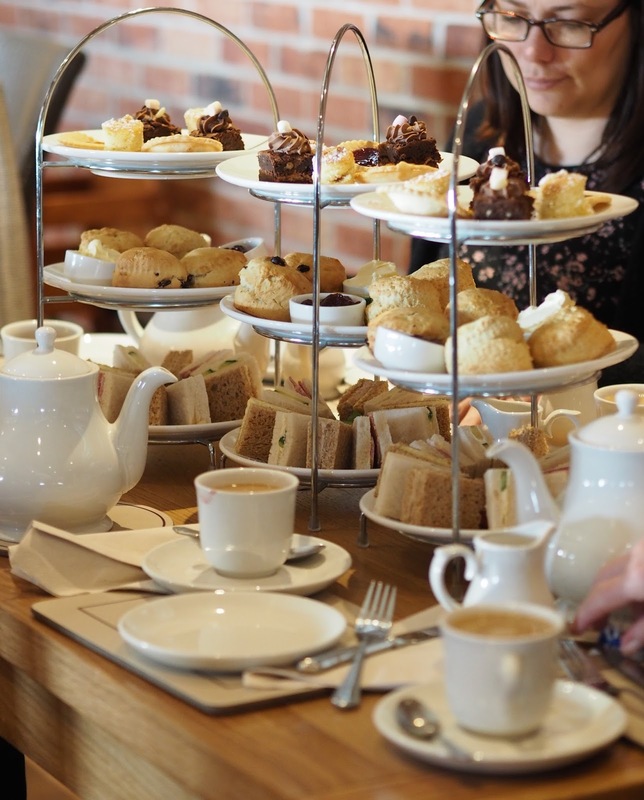 When you order and pay for your afternoon tea you are given your tray with your pot of tea and cups etc, and your platters of sandwiches and cakes are brought to you. Now even though it wasn't particularly busy when we were there we waited a good ten, could have even been 15 minutes before getting them brought to our table, I was actually on the verge of going to find out where they were. Surely it doesn't take that long to prepare a few sarnies and cakes? My point is, that by the time we got it all together, we had already drank half of the tea, otherwise if we didn't make a start it would have been totally cold, and what was left to have with our spread was stewed and I do not like strong tea so I think all I had was one cup! Not the best when you expect to have it all together for your 'afternoon tea' and of course tea and cake go hand in hand. Disappointment with the tea aside we were glad we went. We don't get the chance very often so it was nice to catch up, natter and fill our faces all at the same time! Now delightful little cakes, tea and banter are one thing but their Christmas department is another!!!!! THIS was the exciting bit. I get giddy with child-like excitement when I pay my first visit and Lesley is just the same as me, in fact one of us may have their Christmas tree up already (I'll give you a clue:it's not me). It's an enchanting winter wonderland, an Aladin's cave full of wonder and excitement. I've never seen a Christmas department or display so packed full of all things that glitter and sparkle. There are baubles, candles and Santa's crammed into every corner and it's all themed too. If you're into traditional, they have it, if you prefer garish and bright, they have it, if you want modern and contemporary they have all of that too. I'm more of a modern/contemporary kinda girl but when I come here I fall in love with all the traditional stuff and want it ALL. The staff here do an amazing job, it truly is magical, kids and adults alike love it and I will say it beats all the Christmas departments I've visited, even the ones in the large London department stores. Santa arrives here around the middle of November for all the little ones to go whisper their Christmas wishes. ∧∧ I am actually gutted I didn't buy this white sparkly heart, I WILL be making a trip back to get it. How amazing do the reds and white look? We of course had to do several laps of the Christmas department, just incase we missed anything, to be honest you could leave me and Lesley there all day and we'd be as happy as pigs in mud, metaphorically speaking of course. I picked up a couple of things, two rather large glass icicles to be precise, and everyone else made a purchase too, a successful day all in all. 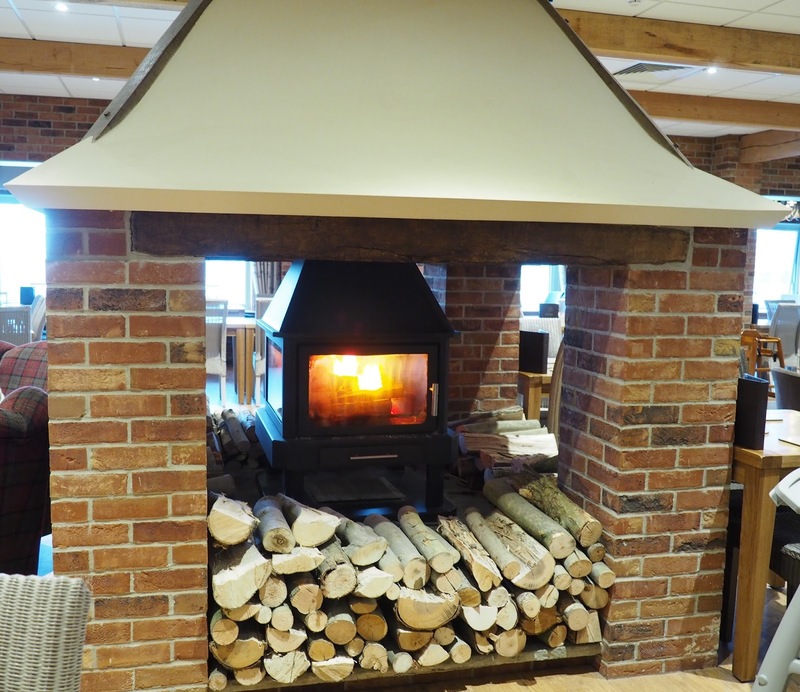 You can find all the info on Gates Garden Centre here and if you're in the area you have to pay them a visit. 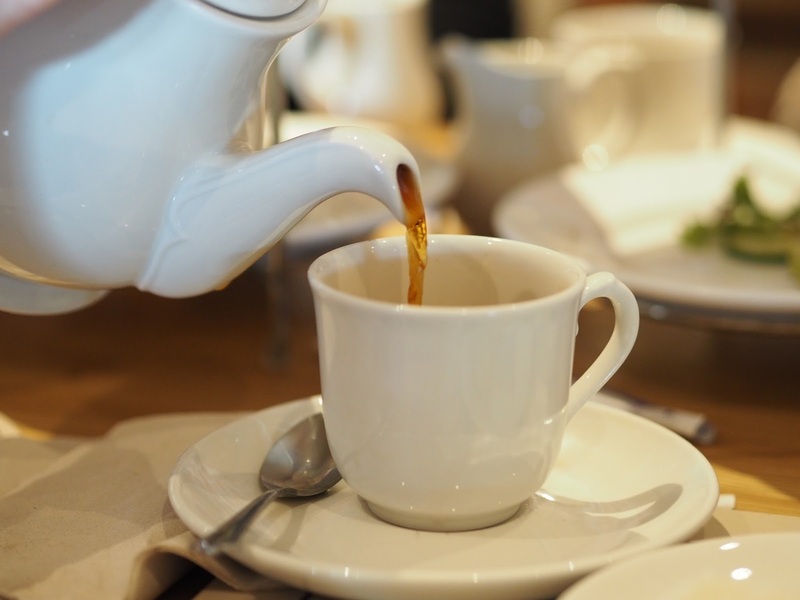 Do you like a good afternoon tea? More importantly are you a Christmas addict too?